Unforgettable celebrations, whether it’s a wedding, birthday bash or 50th anniversary, demand unforgettable surroundings. The Landing Resort & Spa, a five-star European-style resort perched at the edge of South Lake Tahoe, takes memorable to all new heights. On our Grand Rooftop Terrace, atop the Lakeside Ballroom or at the Outdoor Event Pavilion, our venues draw inspiration from our stunning surroundings. Weddings at The Landing enjoy unparalleled care and personal attention. Let us know your vision, whether it’s an intimate family affair or a grand, black-tie evening of dinner and dancing under the stars, and we’ll design a shindig that’s as unique as it is unforgettable. 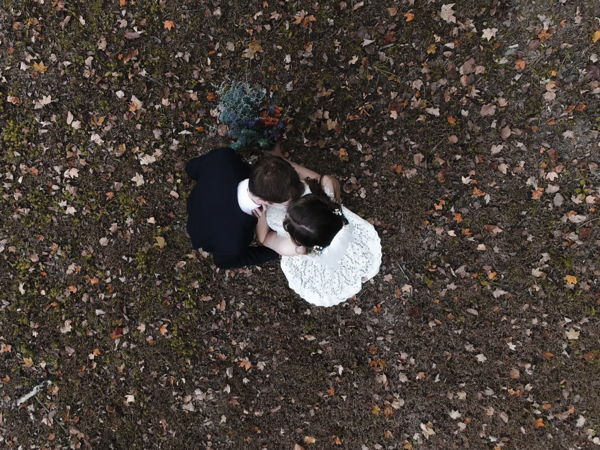 Our lakefront setting promises a wedding set apart by enchanting moments. Welcome guests with a sunset cocktail reception on the terrace. Arrange for a day of pampering at The Spa at The Landing, or a round of golf on one of Lake Tahoe’s six world-class courses. Enjoy an enticing array of culinary options highlighted by the freshest seafood, seasonal vegetables and locally sourced ingredients and an extensive selection of wines. Our Chef will personally consult with you to create a fully personalized wedding menu. To address any of your questions and plan your next wedding or event, please EMAIL US or call 530.541.5263. 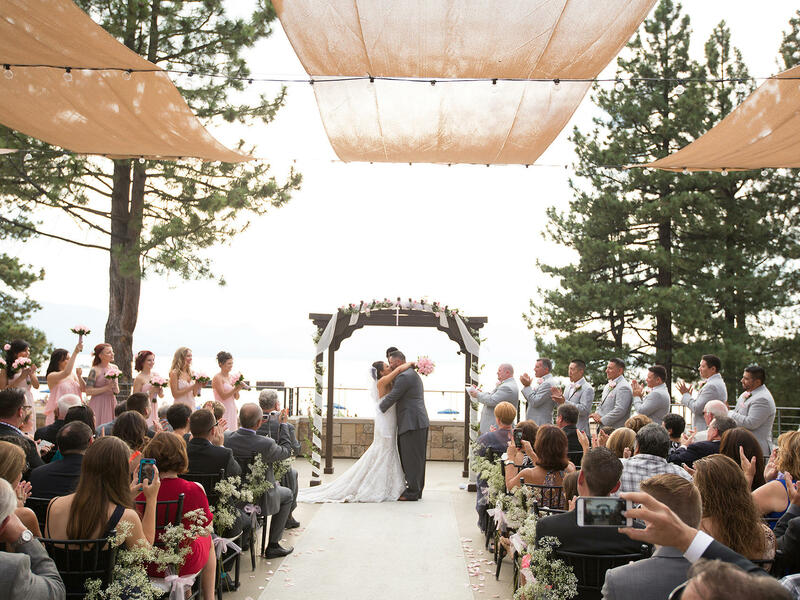 The beautifully appointed Grand Rooftop Terrace lends itself seamlessly to wedding ceremonies as well as festive receptions with striking views of Lake Tahoe. Panoramic views welcome the love of the outdoors with elegance. Ideal for your ceremony and cocktail receptions. This outdoor pavilion is an ideal location for a spring, summer, or fall wedding -- weather permitting. Whether your taste is simple or over-the-top, this celebration under the stars will delight all in style. 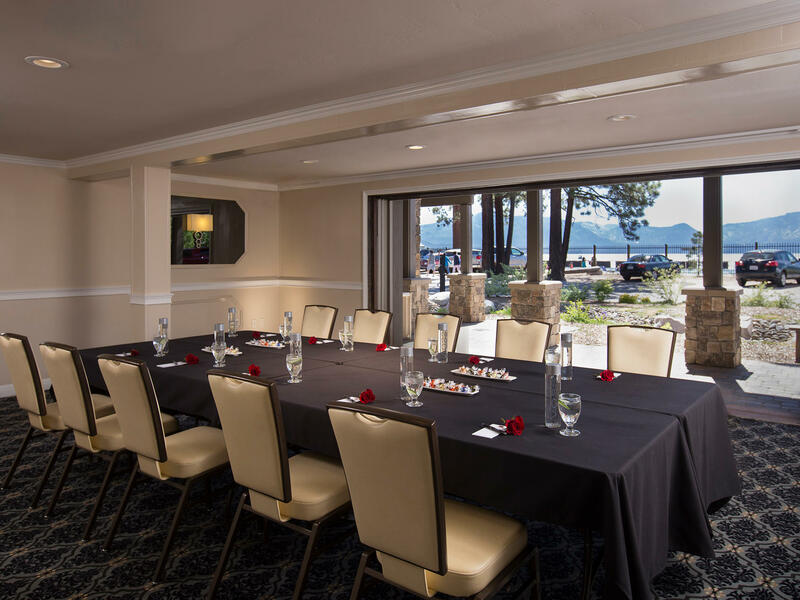 With retractable glass walls this contemporary ballroom offers an elegant feel complemented by the beautiful views of Lake Tahoe's shores. The Lake View Ballroom is the ideal venue for more smaller gatherings. 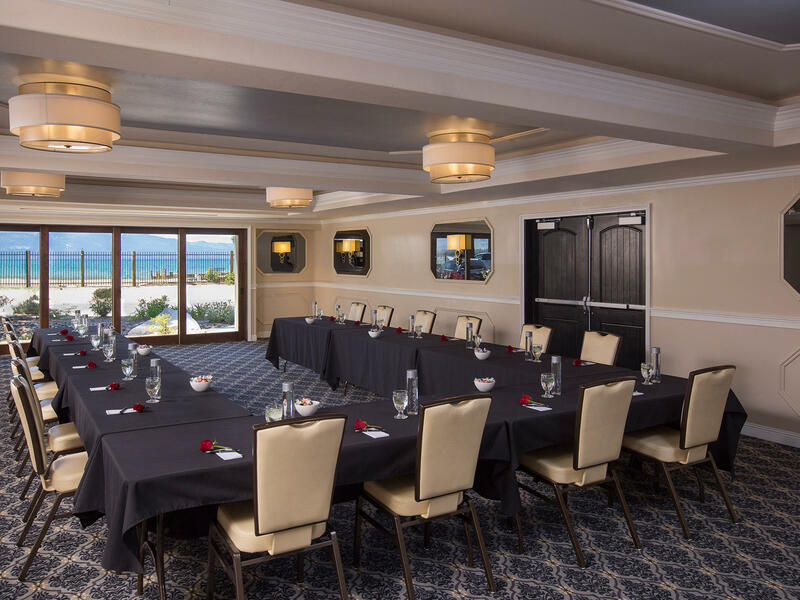 When an intimate venue is desired for a select audience our Lakeside Boardroom is a perfect option. With retractable glass walls and close proximity to the water it mixes the modern amenities of the property with the classic views of Lake Tahoe. 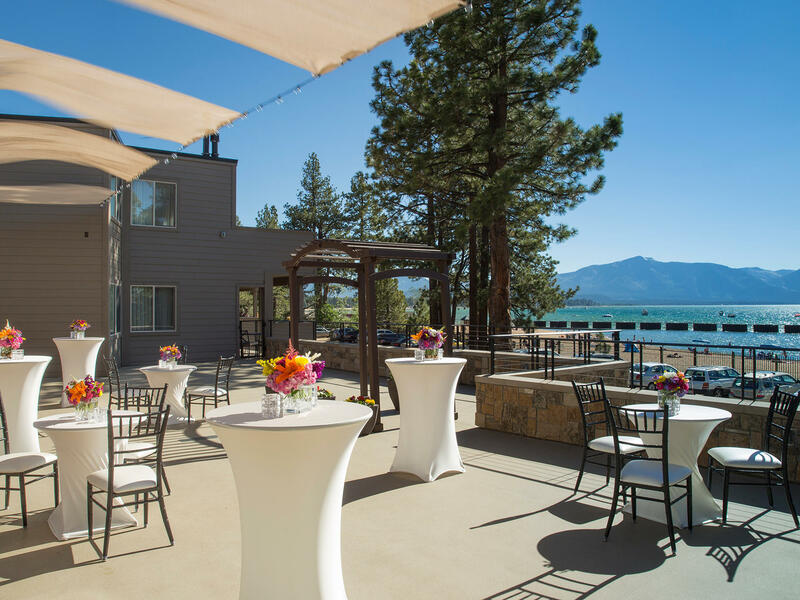 Autumn in Lake Tahoe is nothing short of stunning, and The Landing Resort & Spa would be delighted to provide the setting for your wedding celebration. Let us play host to your special occasion with this exclusive fall wedding special.